Here is the list of best content marketing and social media articles that caught my eye in the last week. The idea of flipping blog content initially struck us when the team saw one of our highest converting blog posts starting to lose visibility in the SERPs. We realized that the company couldn’t afford to see this post stop driving the quality traffic we were used to, so we re-optimized the post to match user intent and keyword volume. Some weird things have happened since the morning of September 12, 2014, the day 1,009,964 people viewed the story of my life. It was my second article to get big traffic, and since then my life has become a bit intense at the crossroads of freelancing, startup-ing, and blogging. For anyone serious about content marketing, I believe some form of atomization is a requirement. Here’s a list of all the places and ways you can atomize content marketing. How many of these have you tried? Creating remarkable content is hard work and takes a lot of time. This means that every time you create something worthwhile you should make sure that the word travels far and wide. When I was thinking about how to get most out of a single piece of content I came up with this model. BuzzSumo teamed up with Moz to analyze the shares and links of over 1m articles. We wanted to look at the correlation of shares and links, to understand the content that gets both shares and links, and to identify the formats that get relatively more shares or links. In this post, you’ll see 7 not-so-typical tactics I used to make my first eCommerce sales, or I’ve seen others put in place with success. Recently, Lucidpress hit the one million user mark, just over a year after launching our product, and we’ve continued to grow since then. To celebrate, I’d like to share 8 lessons for growing your small business to 1 million users. Here’s list of solid Call to Action examples where I’ve compiled a list of the most basic, but working CTA’s. I looked at 30 days worth of the site’s mobile performance data, comprising almost 4.5 million mobile user sessions. Using mPulse, I plotted those sessions on a graph that shows distribution according to load time. Then I overlaid that graph with a line graph showing the average conversion rate for each cohort of pages along that load-time distribution. Eleven strategies you can start today to build your email list like crazy. This might sound like a lot to implement, but Buffer’s success in doubling its email sign-ups in 30 days required at least eight strategies. Focusing on incremental 2 to 5% week over week improvements is key when focusing on drip email campaigns. We did many small tweaks which resulted in big wins for Vango’s email campaigns. Brian Dean humbly shared his early stages as an entrepreneur, which has been wrought with failures and the changes that have since helped him become one of the most prominent voices in the digital marketing industry. Experiment: Does Google Treat URL Mentions Like Links? We tried two tests to see what would happen if we created 15 or more URL Mentions to a page to see if that would change the rankings of that page. Some of these were added to existing indexed pages, and some of them were included in new article posted on existing sites. Gamification – Why it’s your business need? If you can integrate fun and motivation in to your business, your potential customers will perform actions you want and convert in to paying customers at higher rates. Some of the most important web documents that have helped us at Xight Interactive develop our own internal processes for Technical SEO, link building, content development and marketing, social media marketing, analytics and pretty much every strategy we’ve come up with within the inbound marketing realm. 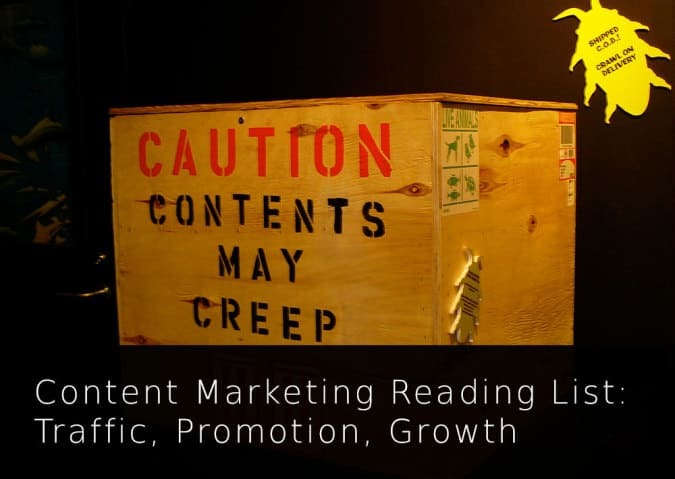 Check out the next weeks Content Marketing Reading List with great content marketing tools and resources. Previous story What is a browser?